Home About Services Portfolio Blog Lets Chat! The Big Hearted Mavericks are a group of 25 Calgary business men that come together to fundraise for Calgary and Area children's charities. The annual Country Hills Golf Charity Classic is one of their premier events that has helped the Big Hearted Mavericks raise over $4 million over the last 17 years. This video was created to help show the energy and atmosphere of the event and help spread awareness about the event for 2019 and beyond. Community Kitchen is a nonprofit food bank in Calgary, AB that provides support for those in need and educates families how to purchase, prepare and eat healthy food. Community Kitchen has been serving the Calgary and area for over 20 years and was still using it's original branding. In an effort to appeal to a more diverse donor demographic and increase awareness of Community Kitchen, we built a fresh, contemporary brand that reflects the values and the personalities of this great cause. Local Laundry, a Calgary based apparel company focused on building community, along with Micro YYC, an indoor micro greens farm, and myself got together to work on this collaboration video. The objective was to tell Vanessa's story of the start-up of Micro YYC and how the community has helped lead her to where she is today. The Innovation Committee at the Calgary Stampede was built to help develop new programs, events and initiatives at the Calgary Stampede. As the first year the committee was created, we were contracted to help put together an internal communication video to distribute to all of the Calgary Stampede Volunteers. A private photoshoot shot in Calgary, AB. Annika and myself together came up with the concept for our most successful music video to date for our single "Blame it on the Neon". I lead the production and planning of the video including coordinating the crew, location, casting, background design. I also helped direct and oversee the edit of the final video. The music video for "Blame it on the Neon" was featured on CMT (Country Music Television) US and has over 140,000 views on YouTube. The Big Hearted Mavericks are a group of 25 Calgary business men that come together to fundraise for Calgary and Area children's charities. Each year the Mavericks sponsor chuckwagons at the Calgary Stampede. This is a chance to host the Maverick's employees, friends, families, clients and charity partners with a special behind the scenes experience. Hosted by Shane Harluk and Craig Senyk, Country Night Live brings friends, family and colleagues together around live country music, drinks, food and conversation. Starting from scratch, Country Night Live was a fun project to work on as the slate was clean. Portraying fun, entertainment and classiness were important for Shane when developing the brand. "The Funny Thing is..." with Leaving Thomas is a weekly podcast hosted by Annika and myself. The tone of the podcast is laid back and casual as we open up about our personal lives outside of music. I produce, record, edit and publish each episode of the podcast. To subscribe to the podcast please CLICK HERE. Knoxville's Tavern Calgary was looking to make their branding more consistent and ensure that they were speaking to their audience with the proper voice. Once we completed developing the meaning systems of the brand, we redesigned the Knoxville's Calgary website and developed a responsive mobile app for both Android and Apple. 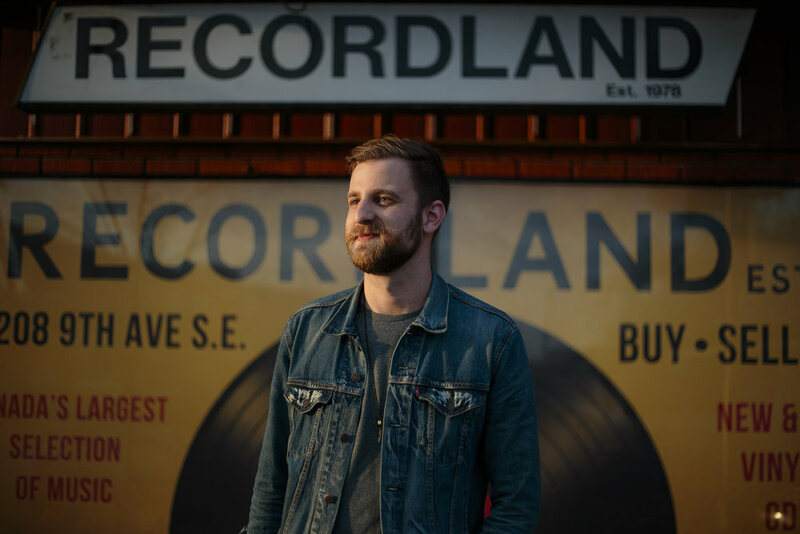 “Nothing Much These Days” is a song written and performed by Calgary based artist, Aaron Pollock. After hearing the song for the first time, I immediately had an idea for the treatment of the music video and began working collaboratively with Aaron to create this music video. I love being able to see a project through from the very beginning to the bitter end and that’s exactly what happened in this project. The Calgary Prostate Cancer Centre is a world class prostate cancer treatment facility. In the month of November thousands of dollars leave the city of Calgary to “Movember Fundraisers”. The fundraisers often don’t benefit the Prostate Cancer Centre in Calgary, so the centre created a video campaign to help raise awareness and direct funds towards the Calgary Prostate Cancer Centre during the month of November. Wrestling legend and prostate cancer survivor, Bret Hart, was the spokesperson for the campaign and performed the script developed by the communications team at the Prostate Cancer Centre.